Innovation for the long-term protection of your precious samples. You've spent days, months, even years getting your labor of love to this point . . . don't risk losing your precious samples to something as simple as a problematic o-ring! 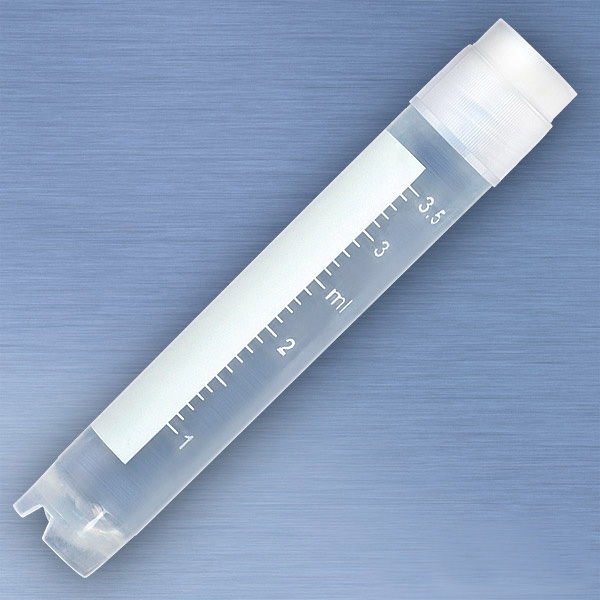 Globe Scientific CryoClear™ vials feature an innovative polyethylene (PE) screw cap that is co-molded with a layer of thermoplastic elastomer (TPE). This special manufacturing process provides the leak-proof benefits required, while eliminating the risk of contamination and sample loss associated with the use of separate o-rings. Store your samples with the utmost confidence using CryoClear™ cryogenic vials: the best and most leak-resistant cryogenic vials available for the long-term storage of samples at temperatures as low as -196°C. Now, for a limited time, buy any 3 units of CryoClear™ Cryogenic Vials and get one FREE! Click here for details and to download the redemption form!